What a (Pumpkin) Carve Up! First up, the Amazon preview of Great Pumpkins: Crafty Carving for Halloween by Peter Cole and Jessica Hurley has several spooky pumpkin design stencils. Similarly, the Google Books preview for Shelley Wolson’s Budget Celebrations: The Hostess Guide to Year-Round Entertaining on a Dime has a few stencils, but you’ll need to use the “zoom” option in order to read the directions. Although they are all businesses, they do also offer a generous selection of free stuff. The Pumpkin Lady even offers extra specials and free patterns to her Facebook fans and exclusive deals and other goodies to those who join her newsletter! Similarly, both Ultimate Pumpkin Stencils and Zombie Pumpkins offer special bonuses on their Facebook pages, and all of the sites mention numerous deals and freebies on their Twitter feeds. Zombie Pumpkins also deserves an extra special shout-out for kindly donating a year’s subscription to their service as a prize for our 2010 Halloween contest. If you want to give your pumpkin a really unique and detailed look, be sure to read this three page article from an October 2007 issue of Boys’ Life. Finally, this GdL16 entry from our first Halloween countdown has an amazing pumpkin-carving project for those of you who don’t fear a challenge. 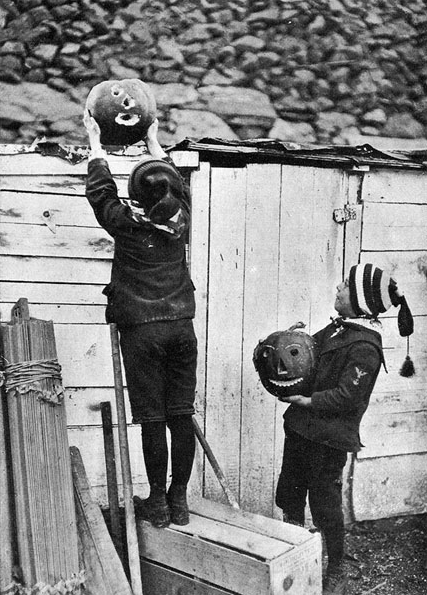 Oh, and you should definitely check out the Wikipedia entry on Jack O’Lanterns if you have some spare time. 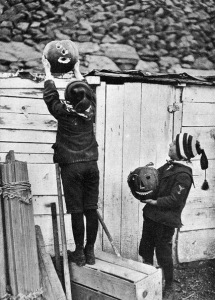 Not only is it very fascinating, but it also has a great selection of pictures that includes a preserved, turnip-based Irish Jack O’Lantern! As noted in previous “How-To” posts, Gravedigger’s Local 16 is not to be held responsible for the content on or anything that may occur (be it good or bad) as a result of visiting any links on those sites (or constructing a project that’s detailed on them). Attempt at your own risk.